Here’s my first attempt at a Traktor Pro tutorial. Hope this helps some folks who are learning Traktor Pro; I’m also posting a youtube video to go with it. Enjoy! Traktor Pro is an incredibly powerful piece of software. In order to tap into most of that power, however, the software requires proper track preparation. The most important step in this preparation is beatgridding — without proper beatgridding, the SYNC command won’t work properly, the phase meters will give you inaccurate information, and loops will be useless. You can always correct these problems by riding your pitch control with a keen ear like we learned to do with real vinyl, but reliable and solid beatgrids can give the Traktor DJ a hell of a lot more flexibility. Although there are multiple beatgrid tutorials available — including this one from DJTechTools and this one from Rainer G. Haselier’s outstanding Traktor Bible, as well as this one from the Dubspot — the task is still pretty daunting for the beginner. Users are routinely frustrated by tracks that aren’t auto-beatgridded correctly as well as more complex tracks with drift or even major changes in tempo. A more thorough understanding of beatgrids in Traktor is essential to using the software effectively. 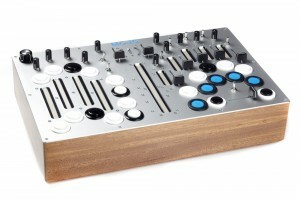 Once you understand beatgridding at a more fundamental level, you will be able to set up perfect beatgrids in seconds. First, it’s vital to clarify what beatgrids are and what they are not. Beatgrids are made up of markers that indicate where the beat should be. The most important - and most often misunderstood - fact about Traktor beatgrids is that they are based entirely on the BPM tag of the song file rather than on the actual sound of the beat. If the BPM value is not accurate, your grid markers will simply not be on beat. A lot of confusion arises because Traktor uses white lines to indicate the beatgrids that have been set. The program also unfortunately uses the same white lines when a beatgrid has not been set to indicate the volume peaks. The volume peaks are Traktor’s guesses as to where a beat could be — if you are listening to straight ahead four-on-the-floor house music, those might be the exact same place. But if there is anything more complicated going on in the time signature of the song, you will have peaks that don’t always coincide with properly set beat markers. In order to determine whether you are looking at a beatgrid or volume peaks, look for a beatmarker cuepoint — this is a cuepoint that has a telltale upside down white triangle indicating it marks the beginning of a beatgrid. If this cuepoint doesn’t exist, there is no beatgrid on the track. If you have automatic beatgridding turned on during track analysis, Traktor will try to guess the first downbeat and set a beatgrid cuepoint there. Everything after that is arranged according to the BPM value — so if the value is 87, there will be exactly 87 beat markers in the first minute of the song, spaced exactly the same amount of time apart, whether or not there are actually 87 beats there. So obviously, getting the BPM value correct is crucial — if you are having trouble gridding a track, always double check the BPM — sometimes there are pretty obvious errors in Traktor’s automatic track analysis. It’s good to double check these values because if the value is way off, it will take you forever to fix it using the Widen/Tighten Beatgrid buttons. I use an external BPM counter like this one for the iPhone or this one for my Palm Centro to catch major errors. If the BPM is off by a lot, go ahead and click the BPM value in the window and change the number manually and then use the Widen/Tighten Beatgrid buttons in order to fine tune the value. The key to superfast beatgridding is using your ears. You can get started using the metronome clicks to hear when the beatgrid starts to go off, or even use a reference track and match the track you are analyzing while you are gridding. When the BPM value is only slightly off you may not notice it at first — in the beginning of the track, everything will seem to line up fine, but if you click forward to the end of the track, you will notice if the grid is off. Assuming there are peak points at every beat, you will be able to see this visually, and you can adjust the grid visually. One great trick to really fast and accurate beatgridding is to jump around the track using the mouse after you have set the first beatmarker. If the grid is perfectly set up, you should be able to jump all around the track while it is playing and everything should still sound perfectly on time. This technique will let you determine right away if the tempo is even the slightest bit off, and you can make fine-tune adjustments immediately. Once you get the hang of this, you will be able to set most of your beatgrids in mere seconds. You can even set up beatgrids on the fly if you have to — although I don’t really recommend relying on this, I have successfully beatgrid tracks in my headphones while playing another track live. If you like to fly by the seat of your pants, just set the first beatmarker and then turn on the SYNC button — you’ll be able to scan through the track and correct the beatgrid by ear while your other track is playing. Of course, where you set the first grid cuepoint is critical. Traktor will start counting from that point; it is generally best to make sure that your first grid cuepoint begins on the first beat count, where you would count “1-2-3-4″ in a 4/4 track. Traktor provides an internal beat counter that begins with that cuepoint — that cuepoint represents 1.1.1 on the beat counter. The beat counter is broken down by phrase, bar, and beat — so 24.6.3 means third beat of the sixth bar of the 24th phrase. A “bar” is 4 beats. A “phrase” can be any number of bars; in the Traktor preferences (Transport –> Beat Counter) you can set the value anywhere from 0 to 64 bars. I generally have this set to 8 bars per phrase. You can tell Traktor to display the beat count in the deck display — just go to Deck Details –> Deck Heading and select “Beats” in one of the drop down menus. (Another useful option is “Beats to Cue,” which will count beats backwards from the next cue point). This can be extremely useful in terms of seeing where you are in a track and determining your next mix point. Of course, getting a perfect beat grid like this assumes you have a track that has a consistent BPM throughout the track. In many cases you will be dealing with tracks that do not have such DJ-friendly features. There are several situations where this is the case — (1) a live drummer, (2) an inaccurate recording of the track, and (3) an intentional BPM change by the artist. If you only play house music with drum machines you won’t encounter these issues as often, but if you play rock, funk, reggae, or other genres you may find beatgridding very frustrating. Such tracks can be very difficult to grid accurately, and Traktor’s current solution to this problem leaves a bit to be desired. Basically, Traktor allows you to set up a second (or third, or fourth) beatmarker in order to “correct” for drift. The problem is that the new beatmarker does not reset the beatcounter, and it does not allow for a different BPM — this works best on tracks where the BPM stays the same but there is a breakdown somewhere that ignores the beat count. In those cases, your BPM value doesn’t change, but your second beatmarker allows for a second grid at a new starting point. Your beatcounter values might be inaccurate after the second beatmarker, but at least the beats will line up. (Hopefully Traktor will address this in a future update, allowing for 2 or more different BPM values on the same track and giving you the option of restarting the beat count when necessary). Your best bet in these situations is often to use loops. Find a good loop at the beginning and ending of the song (or at your mix-in and mix-out points) and set a grid that works for that loop. Then you can match beats using the loops, and just ignore the fact that the beat grid is off for much of the rest of the song. Again, this isn’t an ideal solution, but Traktor at least allows for these situations to be dealt with gracefully. Once you have your beatgrid set the way you want it, it is a good practice to click the “lock” icon in order to write this information to the file and to keep Traktor from messing with it. The lock icon will appear in your browser window — that way when you are choosing tracks you will know right away if the track has a beatgrid that you have checked or not. If you find that you have a locked track that you want to make adjustments on, all you have to do is click the lock again to unlock it. Of course, you can use Traktor without ever beatgridding your tracks. But you will lose a lot of the software’s features and flexibility and your focus will be centered on beatmatching. With proper beatgrids, you can be confident in the phase meters and the SYNC command, and you can concentrate on adjusting levels, EQs, effects, as well as playing loops and jumping around on beat. It may seem like a huge task at first, especially if you are starting with thousands of un-gridded mp3s, but once you get the hang of it you will find that a few seconds of beatgridding will save you hours of aggravation in the long run. 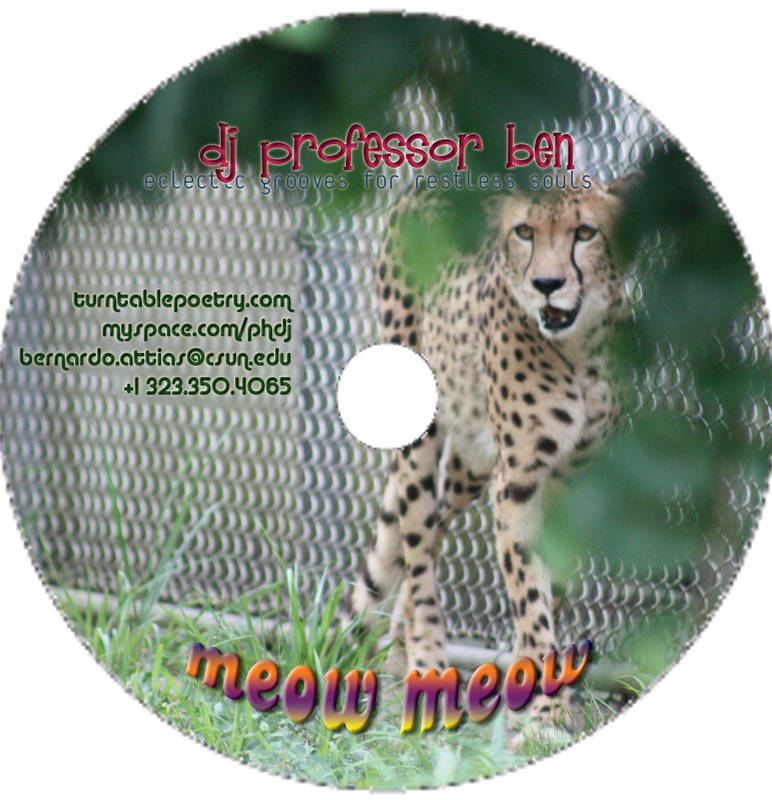 Here’s my latest mix; what it lacks in precision it makes up for in booty-shakin fun … meow meow. (Warnings - large mp3 file; NSFW). 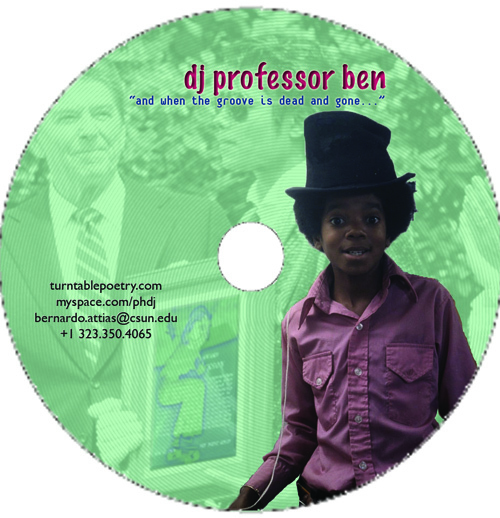 You can peep the cd design if you like. Email me for a free CD.